Here we go kids, another Cyrsti's Condo Sunday Edition-Kerplunk!!. Page 1.- Sports! 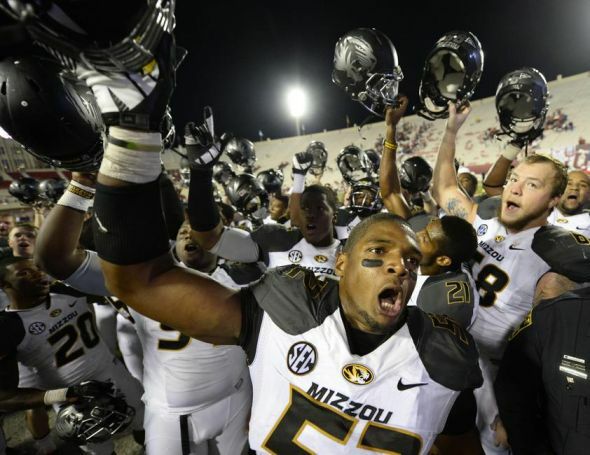 In case you haven't heard, the St. Louis Rams made history Saturday with the 249th pick when they selected Missouri defensive lineman Michael Sam and made him the first openly gay player in the NFL. It’s a monumental moment in American history and it’s a moment that won’t soon be forgotten by anyone. I have several other football fan friends who texted me yesterday and said they had made the St. Louis Rams one of their favorite teams. ESPN and said, "In a world of diversity that we live in, I'm honored to be a part of this." Page 3.- Entertainment. 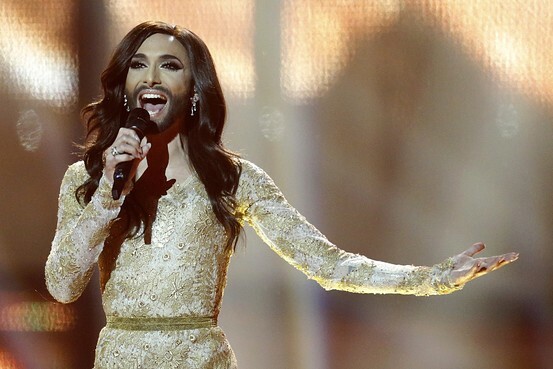 Austria's popular bearded lady, Conchita Wurst, won the 2014 Eurovision Song Contest on Saturday night. Ms. Wurst's onstage drag persona is 25-year-old singer named Thomas Neuwirth. Sporting a skintight glittery dress, long brown hair and a beard, Ms. Wurst won the contest with a song titled "Rise Like A Phoenix. ".A polarizing figure, Ms. Wurst attracted a flood of respect for her views on gender and sexuality, but she also became the target of criticism, including from a prominent Russian politician known for holding antigay views. Following the win, Ms. Wurst said "this night is dedicated to everyone who believes in a future of peace and freedom...we are unity and we are unstoppable." Ms. Wurst wasn't the only subject of controversy at the 59th Eurovision contest. At many points in the evening, particularly during the voting session that follows official performances, Russia received a chorus of boos, forcing organizers to remind the audience that the event is about love and respect, not politics. Page 4. The Back Page. A big end to the week with the news of Conchita Wurst and Michael Sam proving once again the TGLBQ community is just not fading away. The world damn well accept us! You all have a great week AND! Thanks for being a part of "the Condo"!